The American Society of Clinical Oncology (ASCO), with more than 40,000 members, is the world's leading professional organization representing physicians who care for cancer patients. Last year, Clifford Hudis, MD, then Chief of the Breast Medicine Service at Memorial Sloan Kettering Cancer Center, was named ASCO's Chief Executive Officer (CEO). He had volunteered with the organization for the past two decades, recently serving as its president. "Cliff has been a visionary leader in his prior role as president of ASCO and now in his role as its CEO," says Winship Executive Director Walter J. Curran, Jr., MD, who has served on the ASCO Board of Directors for three years. 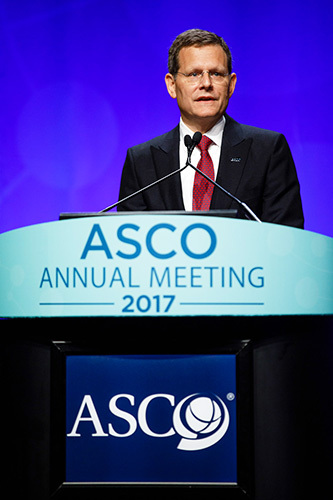 "The ASCO CEO is an important role in defining new approaches to cancer from the perspective of the largest multi-disciplinary society in the world. ASCO is in transition from a highly successful professional society to a one that enables and sometimes conducts research in cancer informatics and other realms itself." 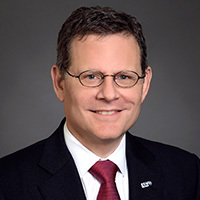 Hudis, a leading expert in the prevention and treatment of breast cancer, is credited with helping ASCO develop some of its boldest initiatives involving new educational offerings, scientific research, emerging technologies that are helping our community shape the practice of oncology, and develop evidence-based health policy solutions.